EISA has become an active member of the ACE Knowledge Network, the most reputable global election network, an online information resource covering all aspects of election administration. It features information on nearly every aspect of elections brought together under one portal, targeted at electoral practitioners, electoral management bodies, government officials, political parties, civil society and non-governmental organisations, academics, researchers and students. EISA is both the ACE partner and a Resource Centre for the SADC Region. 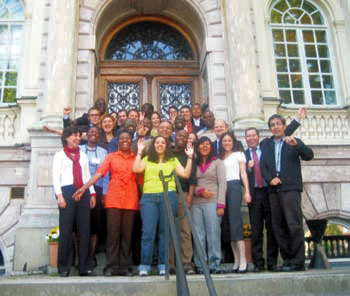 Network members include Elections Canada, EISA, European Commission (ex-officio), Instituto Federal Electoral - Mexico, International Foundation for Electoral Services (IFES), International IDEA, United Nations Development Programme , United Nations Department of Economic and Social Affairs and United Nations Electoral Assistance Division. As part of its responsibilities in the ACE Coordination Team, EISA peer reviewed three country case studies (Botswana, Namibia and South Africa), on the theme: 'Elections and Youth - Removing Barriers to Youth Participation in Electoral Processes: Entry points for Electoral Management Bodies. As part of its responsibilities as Regional Resource Centre, EISA continued providing updates on elections in the continent to be uploaded on to the ACE website. All country pages of countries that held elections in the first half of the year were updated before the elections. EISA's contribution on the Network continued during the period under review. Updates on elections and related topics were uploaded and shared on the ACE website. One staff member of the EPP department is the focal person for the ACE network with EISA continuing to provide all relevant information relating to the SADC region. A Virtual Steering Board meeting was held by ACE Partners on 22 April 2015 where EISA was represented. EPP continued to co-ordinate EISA's contribution to the ACE Electoral Knowledge Network as well as hosting the Southern African Regional Resource Centre of the ACE Project. Materials on ACE are constantly updated through the support of ACE Regional Resource Centres (RERCs) and practitioners throughout the world. In addition, EISA contributed a case study to the ACE encyclopaedia on: The role of EMBs in Electoral Reforms. As the ACE Southern Africa Regional Resource Centre (RERC), EISA strengthens regional networking in expanding the Practitioners' Network by identifying, inviting and continuously communicating with regional experts and disseminating EOM reports issued by Southern African institutions and other relevant documents on the ACE website. In the past year EISA updated two topic areas of the encyclopaedia, namely, voter education and voter registration. In 2012, EISA, ACE partner organisations and electoral experts through ACE Secretariat updated the encyclopaedia and other ACE contents. Specifically, EISA updates the voter registration and the civic and voter education content of the encyclopaedia. ACE users can access the materials online through the ACE website, www.aceproject.org, post questions and have responses from experienced electoral practitioners who belong to the ACE Electoral Practitioners' Network. EPP continued to coordinate EISA's contribution to the ACE Electoral Knowledge Network. EISA also participated as a member of the ACE Steering Board and ACE Advisory Board. 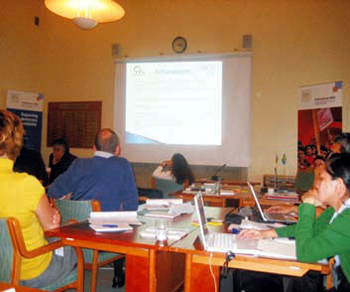 EISA hosts the ACE Southern African Regional Resource Centre (RERC). As a partner and a Regional Resource Centre, EISA participated in the annual ACE Regional Centres workshop held in Lima, Peru, on 16-19 November 2010. The purpose of the workshop, co-hosted by Jurado nacional de elecciones (JNE) and International IDEA, was to discuss the previous year's findings and recommendations, as well as the upcoming year of activities by regional Centres. EPP continued to co-ordinate EISA's contribution to the ACE Electoral Knowledge Network. EISA hosts the Southern African Regional Resource Centre. EISA has since established a regional Electoral Knowledge Network which has undertaken to update the ACE website, source and upload electoral material, publish a newsletter and produce and regularly update comparative data for all the Southern African countries on the ACE website. EISA was responsible for the Capacity Development Facility project, a pilot research project to assess the capacity of electoral management bodies in the SADC region and to identify gaps and make recommendations to close these gaps; in 2008 the capacity assessment was undertaken and finalised. The Southern African Regional Resource Centre, which is hosted by EISA, continued to update the ACE website providing information on electoral issues and events in Southern Africa, to publish a newsletter and produce and to regularly update comparative data for all the Southern African countries on the ACE website. 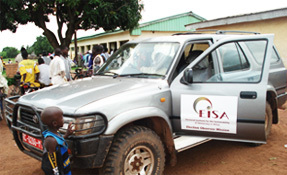 EISA was given the responsibility of the Capacity Development Facility project in 2005. The groundwork for a pilot programme has been laid for this project initially working in Malawi, Mozambique and Swaziland. The second area of activity of the ACE Knowledge Network is the Regional Resource Centre, which EISA has since established to update the ACE website, publish a newsletter and produce and regularly update comparative data for all the Southern African countries. EPP successfully coordinated EISA's participation in the ACE Knowledge Network. This entailed three main milestones. Firstly, EISA managed to complete the updating of the voting and vote-counting operations topic area of ACE. This was subsequently uploaded to the website and is now part of this comprehensive electoral online resource. Secondly, EPP coordinated EISA's attendance at all statutory ACE meetings in 2006. Finally, EISA completed the Capacity Development Base Project, initiated in 2005, in partnership with the UNDP/NY and secured funding. Over and above these three main areas, EISA has contributed to articles for the Election Today publication of the ACE Network. EPP coordinated EISA's participation in the ACE Knowledge Network and was responsible for the updating and editing of ACE Core Text in the areas of Voting Operations and Vote Counting, which was uploaded onto the ACE Editing website. In addition, Capacity Development, conceived to enhance election management by building key competencies in election management bodies, will test methodologies of technical advisory services, training and promote peer partnerships for information sharing and improved performance. This component, to be spearheaded by EISA, is to be implemented as a pilot over three years in the 14 member countries of SADC. EISA was identified because of its location and experience of working in the SADC region and its partnership with the SADC EMBs over the past ten years. EISA developed a concept for the component on the basis of which a fundraising campaign will be embarked on in the course of 2006. EISA was invited to be a partner in a project aimed at producing a revised version in the Administration and Cost of Elections Project (ACE), which is a worldwide electronic electoral information resource originally conceptualised by International IDEA, the United Nations and IFES. ACE provides information on elections and makes it available to anyone who may require it through its website www.aceproject.org. EPP took part in a content design meeting aimed at identifying responsibilities for each partner organisation as well as areas of focus in updating the material. EISA was given the topics of 'Voting' and 'Counting' to update.